Seleznyov: Militants do not adhere to the truce and continue to fire at the position of ATO forces - Life in Ukraine. Live, @ first hand. ATO forces comply with a peace plan to resolve the situation in the east of Ukraine, they do not fire, serve in checkpoints, provide protection and defense of specified areas of the state border of Ukraine. June 24, 2014 – This was written in the social network by spokesman of ATO forces Vladyslav Seleznyov. “The militants do not stop shelling positions of Ukrainian servicemen. Last night checkpoint at the corner of routes aimed at Krasny Liman and Slovyansk was repeatedly shelled. 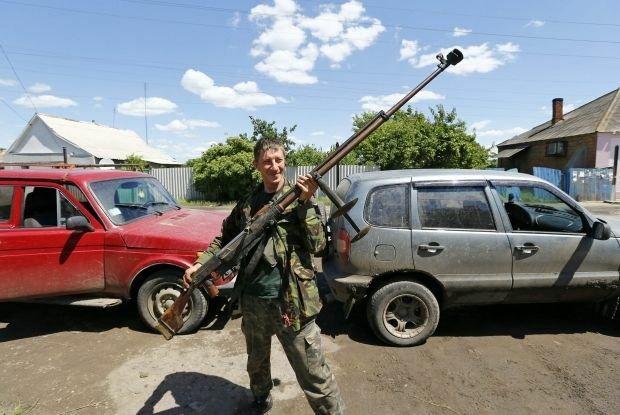 Militants fired from populated areas neighboring Slavic, using automatic grenade launchers AGS-17 grenade rifle, the block post was fired with mortars twice”, – the spokesman said. There were no losses among Ukrainian soldiers. Last night the checkpoint on the way Severodonetsk – Starobelsk was shelled by militants with small arms. Assault was repulsed. There were no losses among Ukrainian soldiers. Share the post "Seleznyov: Militants do not adhere to the truce and continue to fire at the position of ATO forces"